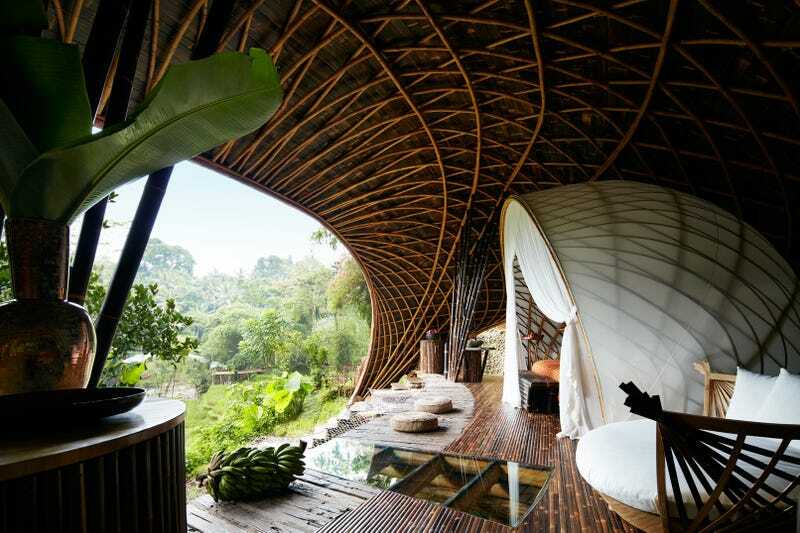 As one of the world’s most unique hotels, Bambu Indah offers an entirely novel approach to luxury, boutique accommodations. There are currently 5 “guest pavilions” on the property, each invoking a sense of peace, calm, and serenity. In lieu of landscaped lawns, you’ll find vegetable beds, ceremonial plants, and natural swimming ponds.